"I felt like a human being who had been dropped into a shark tank." Fox News host Megyn Kelly says that's what it felt like when Donald Trump was attacking her in interviews and in tweetstorms. Kelly attracted Trump's ire during the first GOP primary debate in August 2015, when she asked him about his track record of misogynistic comments. Trump criticized her for months afterward, sometimes in highly personal ways, which triggered threats to her safety. "We had security guards the whole year," Kelly told Anderson Cooper in an interview on CNN on Wednesday night. "I mean, the threat level just got so high that it was impossible not to take that seriously." Kelly wrote about the experience in a new book, "Settle for More," which came out on Tuesday. She is on a book tour this week, one week after Trump won the presidential election. In the interview, Kelly recounted how one of Trump's lawyers, Michael Cohen, retweeted a Twitter user saying "we can gut her" at a time of heightened threats. Kelly said Fox News executive Bill Shine intervened, telling Cohen, "You gotta stop this." Cohen "didn't much care," according to Kelly. She said Shine responded: "Lemme put it to you in terms you can understand. 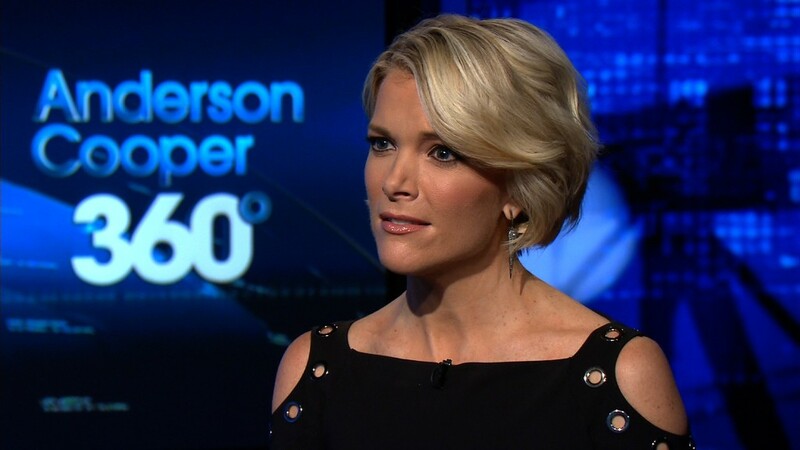 If Megyn Kelly gets killed, it's not going to help your candidate." Cooper said the exchange between Shine and Cohen "is incredibly telling." "Listen, there is no question that some of the tactics engaged in by those supporting in team Trump were questionable," Kelly said. She also noted that Corey Lewandowski, Trump's campaign manager during the primaries, "specifically threatened me if I showed up at the second debate hosted by Fox News." Trump ultimately skipped that debate, which Kelly co-moderated. Cohen responded to the interview via Twitter on Wednesday night, calling her description of the conversation "a total lie to promote her book." Cohen said "I resolved the dispute that she started." Then he retweeted more than a dozen users who called her names like "desperate," "arrogant," a "snake," and a "psycho." As for Kelly, she told Cooper, "all I wanted to do last year was get myself out of the shark tank." She said that is why she didn't reveal more about her interactions with Trump at the time it was all happening. Some critics have assailed her for saving her stories about Trump for the book. At the time, "I didn't want to be the story," she said.